A team of nine individuals from different agroforestry-related organizations worldwide will spearhead the formation of an organization that will facilitate cooperation and knowledge-sharing in this area. 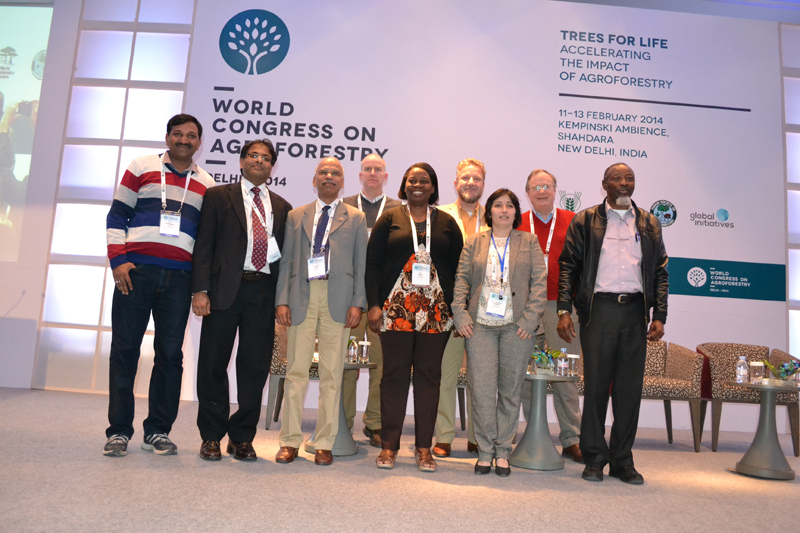 The organization, the brainchild of the World Agroforestry Centre and the Indian Council of Agricultural Research, is expected to establish and manage an international secretariat which will coordinate activities in support of its members. 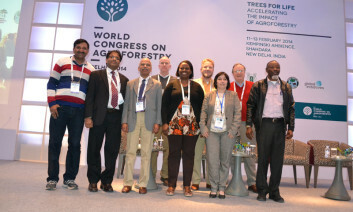 Interested founding members have been given up to three months from the close of the World Congress on Agroforestry to express their interest, through an email provided as a.temu@cgiar.com. 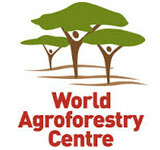 Other draft objectives of the organization include convening forums at different scales (global and regional) that promote agroforestry research and practice, actively engaging in international policy forums and debates that relate to agroforestry land use and providing platforms for its members to collaborate for mutual benefits. The organization will also strive to promote publication and sharing of agroforestry research results and successful adoption and implementation. “This organization aims to bring together national and regional agroforestry associations, research organisations, farmer groups, NGOs, corporations, universities and any individual with the common interest of transforming livelihoods and landscapes through agroforestry for a sustainable future,” said August Temu, one of the volunteers to the working group committee. The Drafting Committee of nine distinguished individuals will develop and refine the Union’s charter. This Committee immediately sat down for its first meeting and agreed to work to an ambitious timetable. The charter they will work on will be opened for comments on 2 April. This period will conclude on 12 May, after which the Drafting Committee will formulate a final version for adoption by the founding members on 2nd June. This date is auspicious: it marks the opening day of the European Agroforestry Congress, to be held in Cottbus, Germany. The members of the Drafting Committee are August Temu, Roger Leaky, Patrick Worms, Shibu Jose, Gregory Ormsby Mori, Mohan Kumar, Rosa Mosquera-Losada, Gillian Kabwe and Sumit Chaturvedi. “In order to form such an international organization, you must have a charter in place, which is a legal document. We already have a draft charter ready with us,” said Temu. It is expected that the organization will be in place later this year. They welcome your contributions and comments, so drop them a line! It is wonderful idea. I endorse it as such and volunteer myself for strengthening the Union in any capacity. 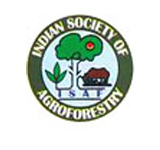 I superannuated from ICAR as ADG (Agroforestry& Agronomy) in October 2012 and at present working as Emeritus Scientist in Central Soil Salinity Research Institute, Karnal (India). I chaired one Breakout Session and presented two Lead Papers in 1.3 and 5.4 Breakout Sessions during Congress. My Book on Agroforestry Systems in India: Livelihood Security & Environmental Services – Advances in Agroforestry Series 10-Springer was released on second day. I have more than 30 years experience of Agroforestry Research & Management. The Draft Charter may be circulated among volunteers and suggetions may be invited to strengthen the idea of formulating the Association. I welcome the idea and ready to be part of it. Pl. 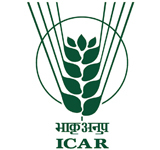 correct as: Indian Council of Agricultural Research (ICAR) instead of Indian Council of Agroforestry Research. This is a wonderful idea and must be grown to full life. I am watching this space for any developments and for sure will be an active member should there be an opportunity for me. I fully welcome the idea. This will facilitate better communication and flow of information. I worked as A.D.G. (Agroforestry), ICAR, New Delhi India from 1996-2000. I have a working experience of over 45 years in the area of agroforestry involving MPTS, silvipastoral systems, Rangelands, grasslands, organic agriculture, watershed management, etc. I support this idea. I maybe alone, without any degree even in agriculture but I hope you’ll accept in the circle. We will do the walk as we intend to become effective extension workers in our locality. Coffee Agroforestry: A Shady Affair?